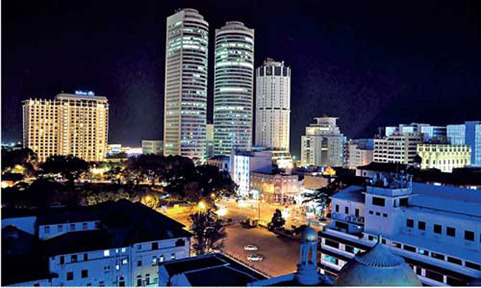 The Ceylon Chamber of Commerce (CCC) anticipates a better year for Sri Lankan business in 2014. There are a number of factors that point to a more positive outlook at home and abroad, a media release from the CCC said. Inflation is in mid-single digits, trade and current accounts of the balance of payments have improved, the growth impetus in the economy has picked up in 2H, 2013 and is likely to continue. All this is likely to have a positive impact on corporate top and bottom lines in 2014. It is encouraging that the authorities have demonstrated resolve in pursuing fiscal consolidation. The burden of adjustment falling on recurrent expenditure, while capital expenditure is protected, is a favourable development. The CCC would, however, urge that priority be attached to increasing education and health expenditure through a combination of a stronger revenue performance and greater recourse to private provision. The government's continued focus on infrastructure development is to be commended. It boosts the growth potential of the economy and opens up opportunities for Public Private Partnerships (PPPs). The adjustment of electricity and fuel prices has strengthened macroeconomic conditions by improving the balance sheets of State banks and creating more space for private sector credit. The relaxation of monetary policy has generated a greater impetus to economic activity with private sector credit picking up in 2H, 2013. We would, however, suggest a note of caution regarding further monetary accommodation as the output gap closes and yield differentials between Sri Lankan and US treasury instruments decline as the Fed unwinds the QE3 program. There are also favourable trends regarding the country's external position. The trade and current account deficits of the balance of payments have improved, with export receipts recording $1 billion per month for three consecutive months for the first time ever in October, November and December, 2013. The recovery in the US, the upturn in Europe and the anticipated stability in oil prices create an improving external environment for the country. It is also a source of comfort for business that the authorities have been proactive in building up reserves to $8.2 billion to provide a cushion against any adverse effects of Fed tapering linked to the recalibration of risk in relation to emerging markets. While, Sri Lanka's macroeconomic outlook over the next 12 months seems benign, the unchartered territory associated with the US Federal Reserve's tapering program, and to a lesser extent the easing of growth in China, poses exogenous risks that need to be monitored and managed carefully. The CCC looks forward to the completion of the FTA with China. The two FTA's with China and India, combined with the proposed commercial hub legislation are potential game changers for the development prospects of the country. The CCC looks forward to working with the relevant authorities, the release said.